Your 20s can be hard—but getting advice from people who&apos;ve been there can make things a little easier. And that&apos;s exactly what we&apos;re doing this week, in a live show we recently recorded at the Ace Hotel in downtown Los Angeles. With the help of guests Alia Shawkat (Search Party, Arrested Development, Transparent), Niecy Nash (Claws, Reno 911, Getting On), and Terri Coleman (from our series "In New Orleans"), we take on life advice questions from listeners in their 20s, and talk about the most challenging and exciting parts of young adulthood. 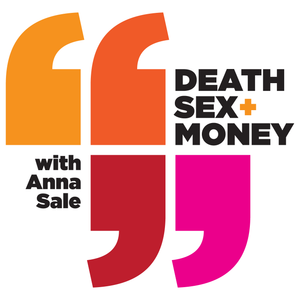 One listener named Sumaya asks how to handle tough conversations about money with friends who, all of a sudden, are making more than she is. Mia wants to know about how to make friends in a new city, without the help of a social life centered around school. And a listener who wants to be known as "Rebecca" asks about how to figure out exactly what she and her partner like in the bedroom.